I had the same colingwater problems when i was on work in june. thanks for the hint to "På tur med Hurtigrutens Grand old lady" - so I could remember my trip in March 2002 with the MS Nordstjernen. 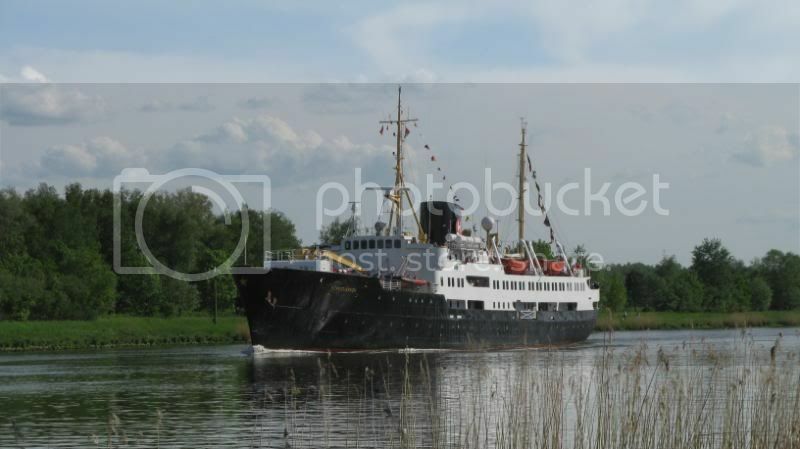 Very nice photos of the old ship and a great travel description in the VG newspaper. And so I look forward to my voyage in October with the MS Lofoten. Talfh, I particularly liked the contrast of scenery of those last two photos. 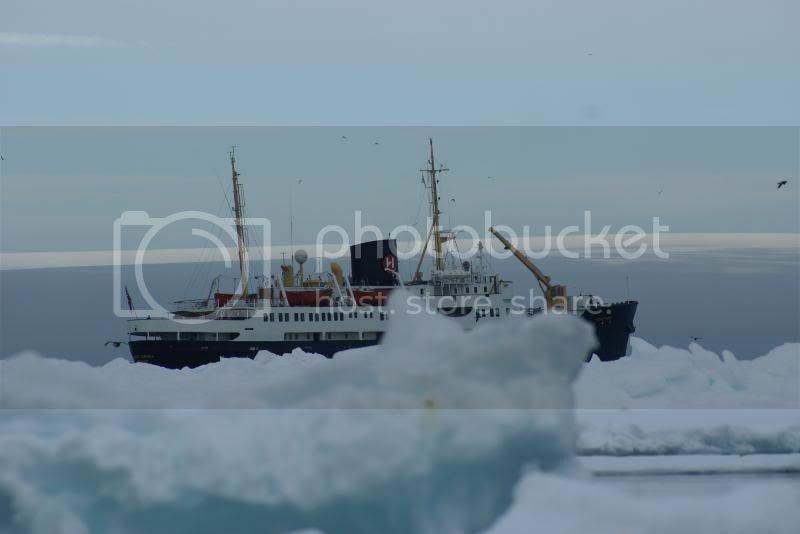 For sure the ice in in Svalbard, but where was the last photo taken? Interesting comments you made -I am starting to realise that even for a more modern ship the relentless regular route is quite a challenge. In the comment to picture nr. 18 of the 19 in the VG article, they say that -"Du har bare vel to år på deg om du vil oppleve Nordstjernen i ordinær drift"
(You have about two years if you want to experience Nordstjernen in her usual hurtigrute operation). Unless I've missed something, and I'm beguinning to understand that I have, what are the plans for "Nordstjernen" after those "about two years"...?? (I'm sure there are info to answer my question here somewhere at CV, and maybe in this thread, but instead of me using hours trying to look it up in this great summer weather we have here just now, I just ask ). Oh yeah, and the article by the way, was really great!! The last picture was taken in Kiel Canal, i guess? I remember she toured there about two years ago...?? ...Unless I've missed something, and I'm beguinning to understand that I have, what are the plans for "Nordstjernen" after those "about two years"...? Skerkoder, I was really waiting for others to have the answer to this one! All I can say is that we seem to have had “about two years left” for the last five or six !!!!! –and a constant feeling of “sail aboard her while you still can”. I remember being disappointed that I wouldn’t be able to make it on her “last” journey on regular route!!! Of course there was the fusion of the former companies, Explorer cruises and the new Fram, mid-generation ships sold, the gradual changes in SOLAS regulations, the changing economic and market situation and many other factors. ! I don’t think there’s a plan, just reactions to changing circumstances. Who could have predicted that this summer Nordnorge would be an accommodation vessel abroad, and NX would be on the regular route?! I am still not clear about the position of Nordstjernen as regards her historic status, how it differs from that of Lofoten if that is so, and how their status might be affected by the next regulations. All I can say is that we seem to have had “about two years left” for the last five or six !!!!! Remember her "last" visit as a hurtigrute in Kristiansund were announced two or three years back. I had the evening shift, but had to ask for a few hours leave to take the "last" pictures! I got my pictures, belive I took close to 70, and almost, ALMOST, had a lump in my throat as I saw her stern disappear behind Stavneset lighthouse......, only to discover her "re-entry" as a hurtigrute and return to Kristiansund a few weeks later. So much for the "last" pictures!! Last edited by Sterkoder; July 28th, 2009, 10:26. This woke me up four years ago as i heard she is sailing again and i decided i must make this voyage! I feel the company seems to understand that the old ships are important for their image. It is due to SOLAS 2012 - more stringent regulations which apparently may require extensive if not impossible renovating of the oldships, or something like that. Saw a comment from HR in a paper, unable to find it right now. in "the good old days" there was always a spare "relief" ship for this purpose. Hurtigruten is one of the hardest routes in the world for a ship, it`s non stop route 24 hours in 365 days! The main engine on NX runs aboute 20 hours pr day, and thats the same for all ship. NX and Lofoten are more like svalbard and fjord cruise ships now, if they should survive in god shape they have to be replaced soon. 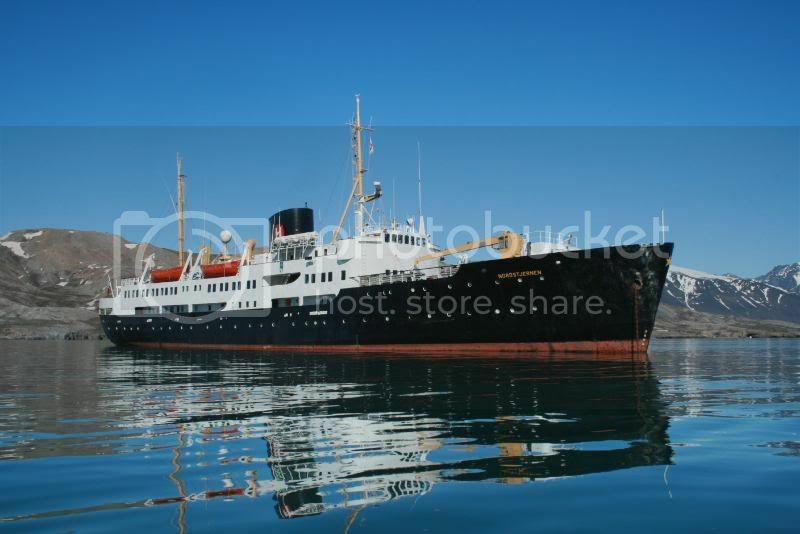 It would not be funny if Lofoten sails untill the main engine is totaly wrecked, it`s an old Burmeister and Wain from 1964 and it`s very hard to get spareparts for a engine like this. It`s nice to have worked on both NX an LO but there is and wil be problem to get crew onboard. The carrot for those who worked on NX was the svalbard cruise in the summer, everyone loved it but now they are not so happy traveling up and down from Bergen to Kirkenes. Very good point from the daily life from the inside. 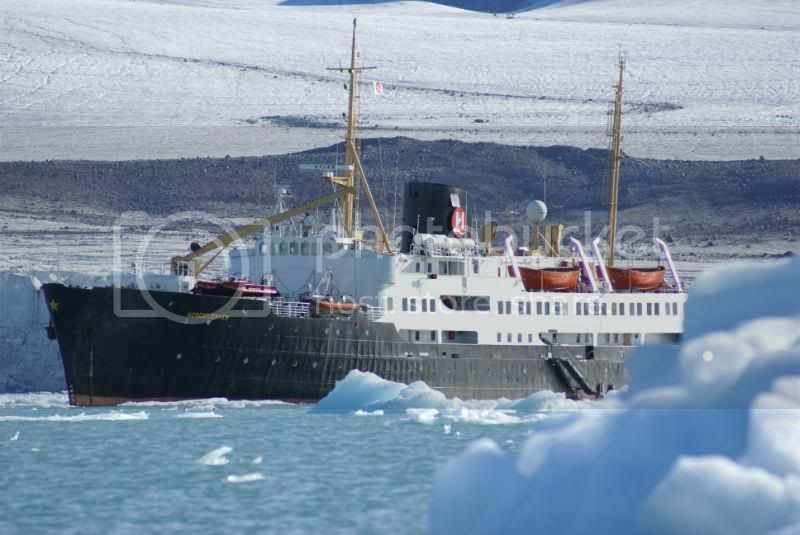 We, who only love to spot these lovely vessels through our camera-linces, see them sailing, and like to travel as passengers onboard............We do not often think of how it actually is to work on, and to run these grand old ladies. Even that I hate the thought of NOT having NX and LO in Hurtigruten, it will even harder to see them totally broke apart during sevice. Faithful ladies like NX and LO deserve to have a pleasent retirement. But I still love every day I see them operating. Thanks for your informative post "talfh"
In Ålesund I met a chief engineer who worked on Lofoten some years ago. Now he is working on Polarlys and it seemed like he is very glad to be on a modern ship. But for some crazy passengers like me it is so boring travelling on a new ship. I don't need comfort, I love the feeling living on a ship. The cruise on Sjøkurs was fantastic, I missed only a little bit rough sea. The distances on the open sea are much more interesting for me than the calm sea in the fjords. After my last cruise on Lofoten in January 2007 I had a feeling of "I will never see her again". Then I booked the cruise on Sjøkurs and I was sure to see Lofoten in Rørvik, 19. July. I was on an excursion to the Sør-Gjæslingan and we should be back at 8 p.m. But for some reasons we came back nearly two hours later, so I missed Lofoten and I saw only the departure of Finnmarken. It was so disappointing, only 10 minutes to late. If I had known this before, I had never booked this excursion! Maybe my feelings become true. If Lofoten will leave the fleet earlier, it is possible I will never see her again. Nordstjernen was in Molde the same day. I hoped for a good photo, but she was too late. We had the same departure time and so I had to run back to Sjøkurs. (Sjøkurs was at an ISPS-terminal, a walk 20 minutes from the Hurtigruten-terminal) The ships left the harbour at the same time, so we didn't pass Nordstjernen. Well, after reading about life on board for the crew, I can very well understand that the Nordstjernen and Lofoten HAS to be taken out of ordinary hurtigruten operation, eventually. But as a lover of veteran ships in full operation and a guy who loves photography....., I don't want to even start to think about that. One thing is for sure though, none of the two will suite being "dressed up" on dry land like the old Finnmarken or being moored to a dock all year around.